Green rooibos is harvested from the same South African plant as red rooibos but is processed differently. 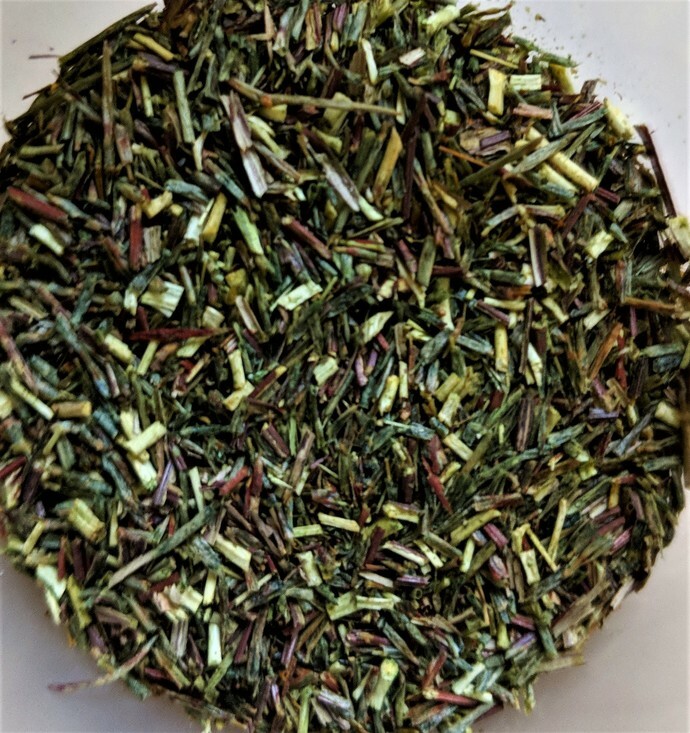 Whereas the red rooibos leaves are bruised and oxidized, the green rooibos leaves are specially treated to prevent oxidation, leaving them closer to their natural state. The resulting brew is lighter bodied and a woody-grassy cup with natural sweetness and fruit notes. Like red rooibos, it is also naturally caffeine free.